GE’s CFL phaseout is expected to take place over the course of the next year. 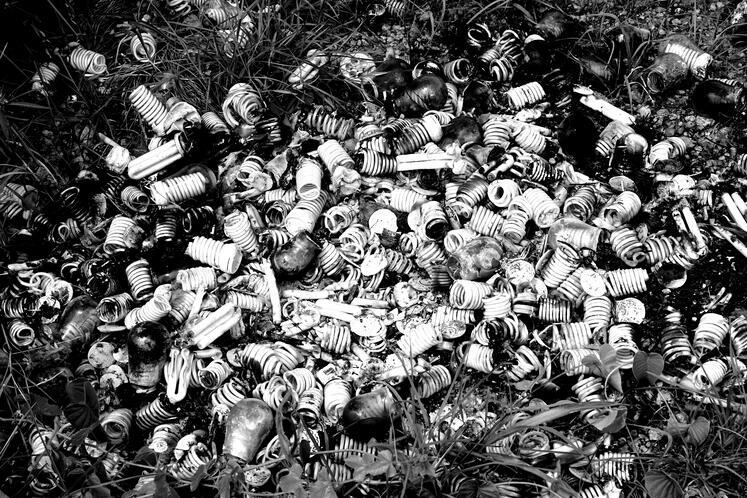 Other big lighting manufacturers like Philips and Sylvania look to maintain production of CFL lamps for the foreseeable future. Rapidly evolving digital LED technology is accelerating the use of LED products for mainstream lighting applications at an affordable price, with quality that matches conventional lighting. The LED market is a high-growth market and we will continue to introduce new innovations in this space. Both Philips and Sylvania have made a push over the last year or so to drive down the price of their entry-level line of LED lamps. In simple terms, GE is electing LED as the energy efficient lighting technology of the future and will continue to carry halogen incandescent bulbs. The company’s choice to pull CFLs was meant to simplify the buying process for customers, according to GE official John Strainic. Today, however, CFLs remain a strong option in the energy efficient lighting conversation. It’s just that LEDs have a much higher ceiling –– a truth that is being realized with each innovation and dip in cost. CFLs are most commonly spiral-shaped, but early CFLs were typically cylinder-shaped. Spiral CFLs were first created in 1976, but it wasn't until 1985 that they included electronic ballasts, thanks to an Osram innovation. Their design and look may remain a hindrance to sales still today. If that's the case, it's quite possible that LEDs have overcome that hindrance, as their emergence in the market may indicate. Another hindrance CFLs face comes in the way they produce light. CFLs are non-directional so, however efficient they may have been, they never proved to be a viable accent lighting option. LEDs, on the other hand, have every bit of the directional capability of traditional halogen incandescent lamps, but are far more efficient. A broad look at the two technologies would reveal generally better energy efficiency and color rendering with LEDs, though CFLs are almost always more affordable up-front. Furthermore, LEDs don’t have the same need for recycling as CFLs, which carry low levels of mercury –– a chemical element that can be hazardous to the environment. Here's a quick comparison of the two lighting technologies. Color rendering and design versatility: LEDs tend to render colors more accurately than CFLs. The Color Rendering Index (CRI) of LEDs is typically higher, and there are new innovations like color pumping that can further improve the visual performance of LED lighting. Moreover, as a naturally directional light source, LEDs are optimum for applications where aiming is critical to the design. Energy savings: While the greatest gains in energy efficiency are gained by switching from incandescent, halogen, or HID lighting to LED, the efficiency of LED lighting is still an improvement over CFL options. Lifespan: Most LEDs carry a longer life rating than CFLs. This means you'll likely have fewer maintenance headaches with LED. Additionally, LEDs aren't negatively affected cold temperatures or being switched on and off frequently –– another advantage over CFLs. No mercury: LEDs are better for the environment than CFLs and do not contain mercury. Dimming: Unlike CFLs, the electronic makeup of LEDs allows for dimming capability. That said, dimming LEDs can be tricky, so it's important to do a test install first. Additionally, working with a lighting expert and reputable manufacturer can make a world of difference when you plan to dim LED lighting. Up-front cost: While LED prices have dropped considerably over the last few years, they're still generally more expensive than CFLs across the market. If you haven't taken a look at LED pricing lately, it may be a good time to reconsider as many of the large, reputable manufacturers are releasing low-cost LEDs, which are effectively making CFLs obsolete. Decisions: With the growth of the LED market, a whole new realm of jargon and technical specs has surfaced. LEDs offer a ton of options, and the decision-making process can be overwhelming. Find someone you can trust to guide you through the process. Cost: CFLs still beat LEDs when it comes to up-front cost. Keep an eye on this, though, because lighting rebates could flip this depending on where you're located. Simpler buying decisions: CFLs offer much simpler options than LED, so the buying process tends to be more straightforward. Energy savings: Although LEDs tend to be more efficient than CFLs, a CFL still offers an energy efficiency gain over traditional sources like incandescent, halogen, or HID lighting. Lifespan: Although LEDs tend to last longer than CFLs, a CFL still offers a longer life span over some traditional sources like incandescent or halogen lighting. Mercury: CFL lamps contain mercury. Although the amounts are small, this is still a toxic substance and requires that CFLs be recycled (an additional step and cost). Switching: CFLs wear down each time they are switched on and off. If you are using them in an environment where frequent switching is common, you may be reducing the lifespan of your CFLs. Color rendering: While the color rendering of CFLs has improved since they were first introduced, they are still not the best option if color is important in your application (like retail, hospitality, museums, or studios, among others). High-CRI CFLs are most often still very poor at producing colors when compared with LED equivalents. Dimming and code restrictions: Most CFLs lack dimming ability, which not only makes them inconvenient in restaurant and retail applications where the ability to adjust light levels is important, but also often makes them incompliant with emerging lighting codes, such as Title 24. Design and visual appeal: Similar to incandescents, CFLs produce light in all directions. While this works well in table lamps or some decorative fixtures, it means that CFLs can be very ineffective at accent lighting. LEDs are emerging as one of the best choices for accent lighting. The LED vs. CFL debate hasn't been totally settled, but most lighting experts can see the writing on the wall: LEDs are cornering the energy efficiency sphere of the lighting market. A prime function of this blog is to stay on top of lighting news –– like GE's phaseout announcement –– and relay all of the developments to you. If we hear of more phaseouts coming down the pike, we'll let you know about them –– and what they mean for your business –– here. Read about Philips Lighting's IPO and what it might mean for the lighting industry.